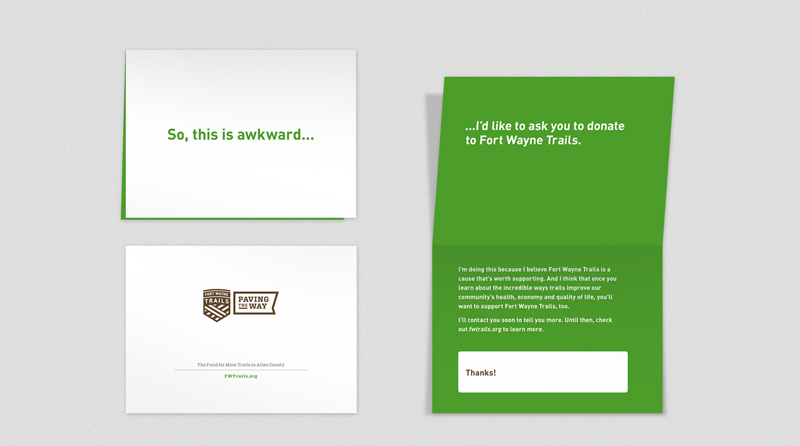 Fort Wayne Trails, Inc. is a non-profit organization that advocates and raises funds for walking, running and cycling trails. 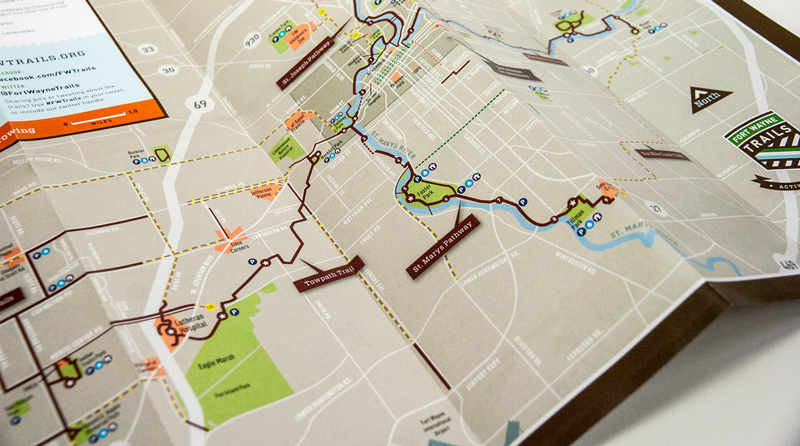 As of 2014, the trail network consists of over 100 miles of trails. 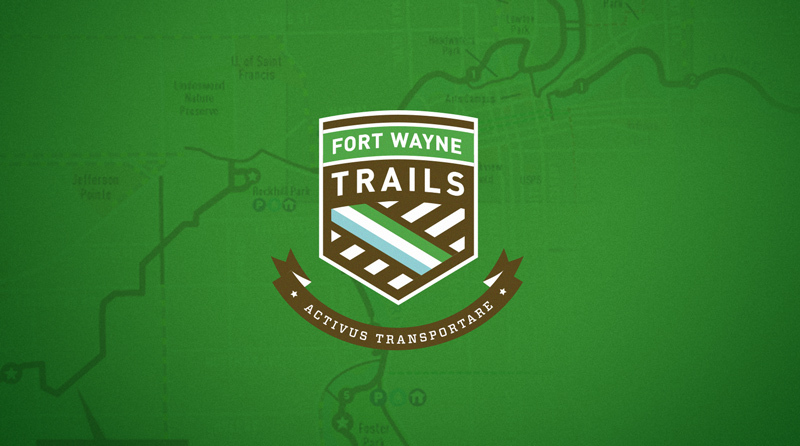 Fort Wayne Trails, Inc. (FWT) is the result of three disparate trail organizations that merged to unify the fundraising and advocacy for trails throughout all of the Greater Fort Wayne area. 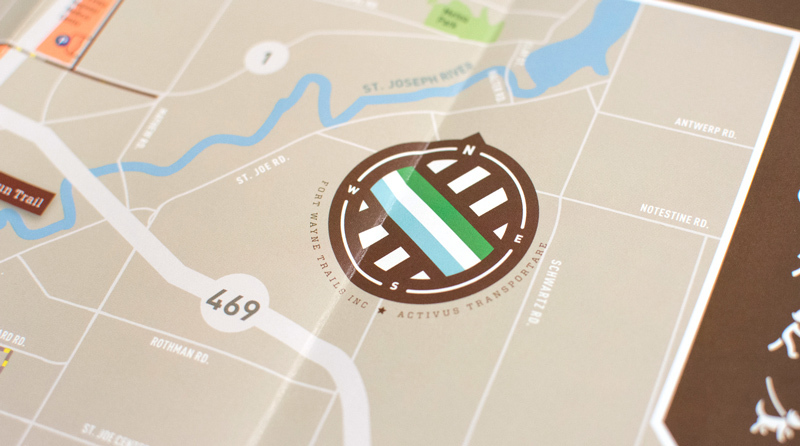 This new organization needed a strong logo that could perform under a variety of circumstances: on signage, the web, maps, t-shirts, social media platforms, banners, fundraising materials, etc. 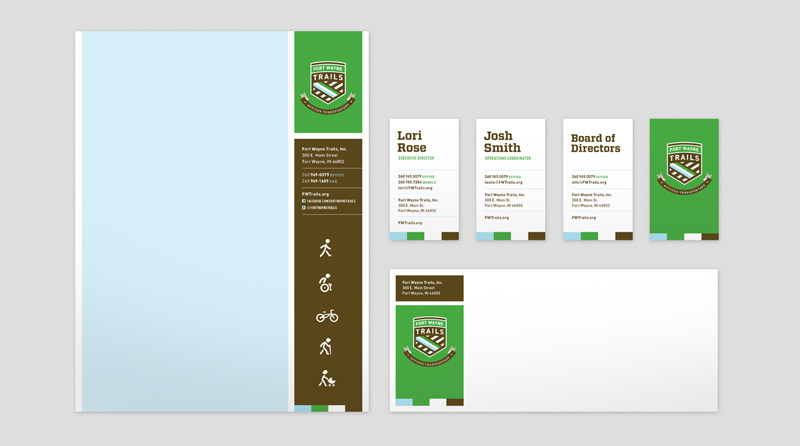 One Lucky Guitar, Inc. developed the branding and stationery pro bono; I worked on the team that developed it. 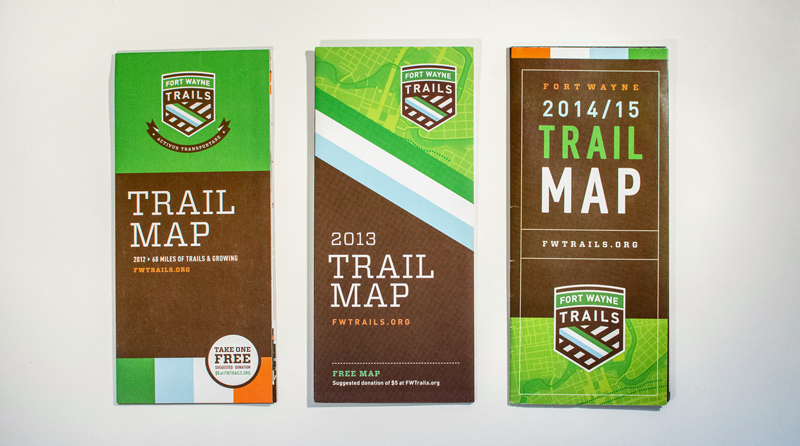 Since that time, as a board member, I have contributed my skills to the annual trail map (in print since 2012; annual circulation of about 25,000), many fundraising collateral, lots of apparel, signage and more. 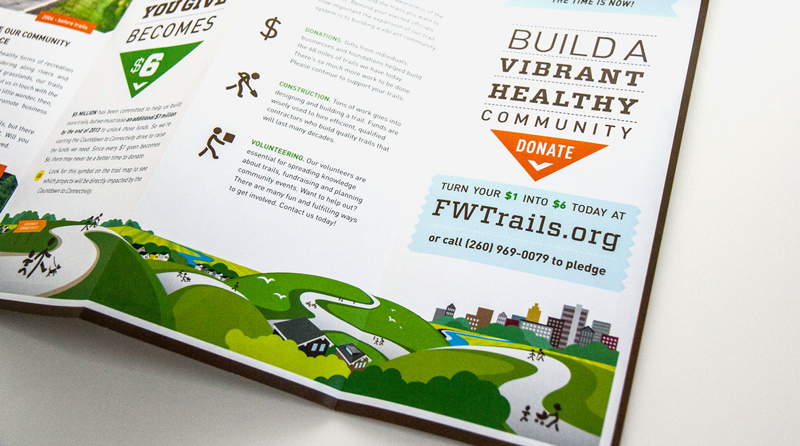 Drew Kora was assigned as art director and designer to the FWT branding project while employed by One Lucky Guitar, Inc. That work is the result of a team effort. 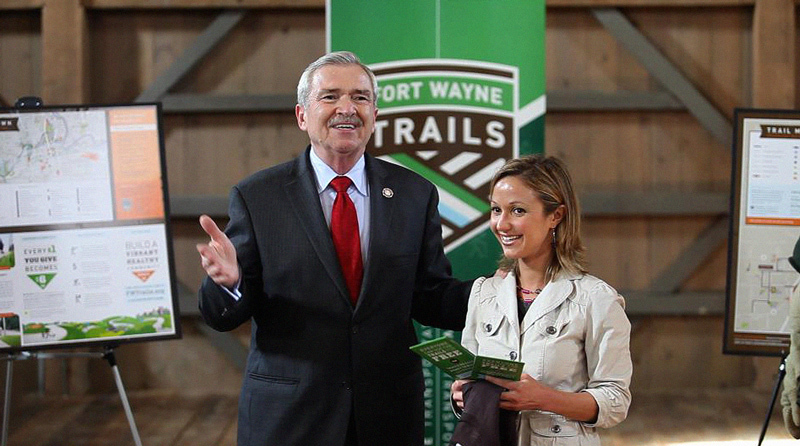 Photo of FWT Executive Director Lori Rose and Mayor Tom Henry is courtesy of Fort Wayne Trails, Inc. This is FWT's flagship publication with an annual circulation of about 25,000 and growing. 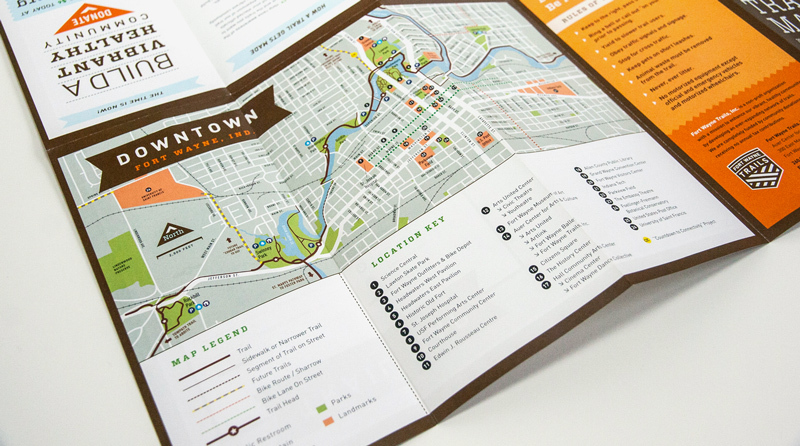 The map was designed to show just the right amount of detail — putting emphasis on where the trails are in relation to major roads and landmarks. 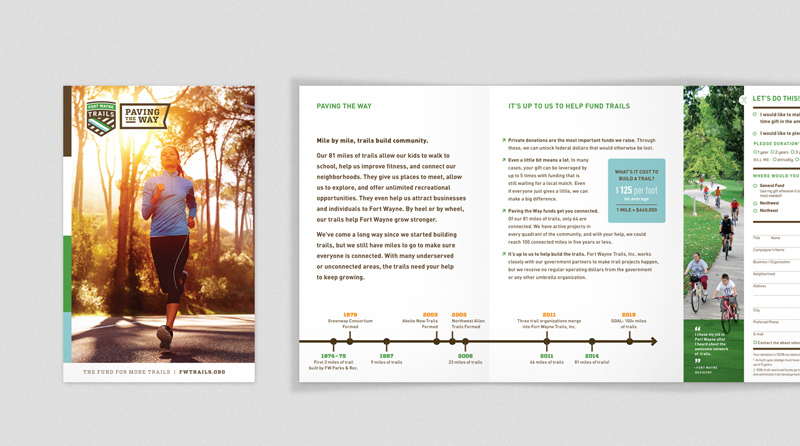 The map is a free publication available at bike shops, running stores, map kiosks on the trails, the visitors center, hotels, etc. 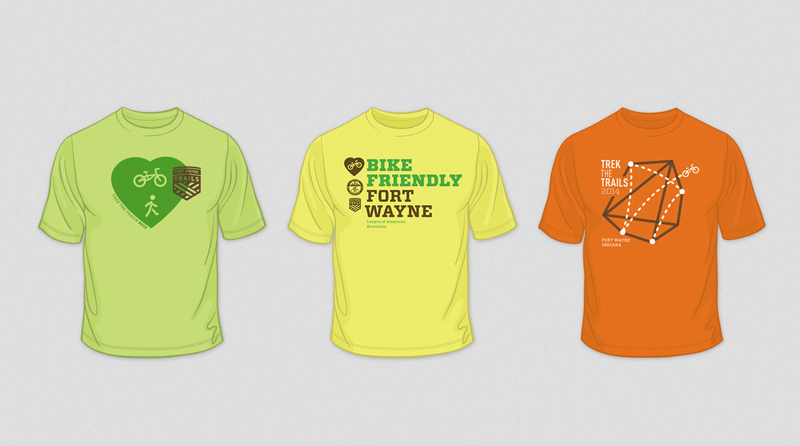 Visit Fort Wayne says the map is their number one request all summer long. 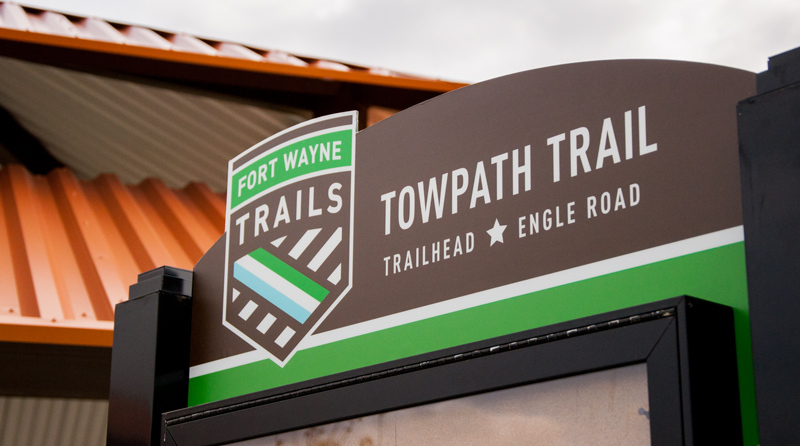 All of Fort Wayne's 80+ miles of trail are free for everyone to use, but they do cost money to build — about $125/foot, to be exact. They exist because concerned people give donations to the cause. 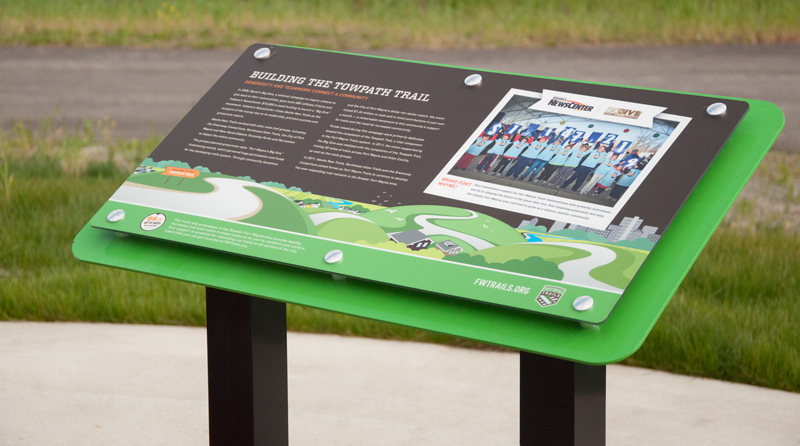 Trails benefit the entire community's health, economy, and quality of life, so please give a gift to support your trails at FWTrails.org.